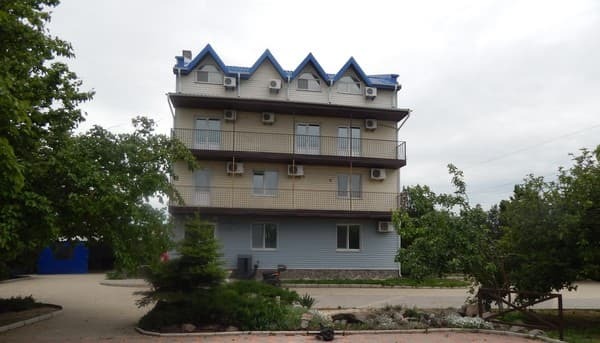 Hotel "Ankur" is located in the village. Genicheskaya Hill on the Arabatskaya arrow, 400 meters from the Sea of ​​Azov. The hotel consists of 14 rooms of various categories, which have everything you need for a full rest at sea. From the windows of the hotel "Ankur" a beautiful view of the Sea of ​​Azov and Lake Sivash. Free Wi-Fi is available. 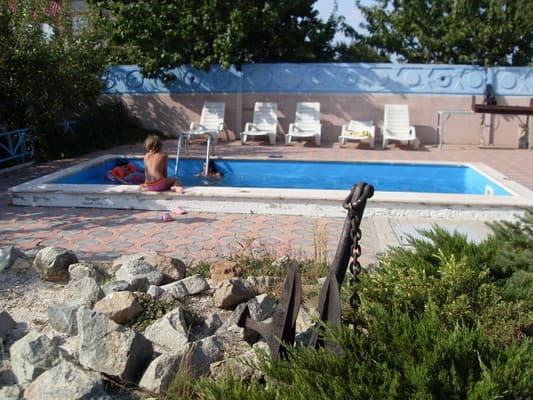 On the territory of the hotel there is an outdoor pool, sauna, children's playground, parking under video surveillance. Near the hotel "Ankur" there are cinemas, cafes, discos, attractions. 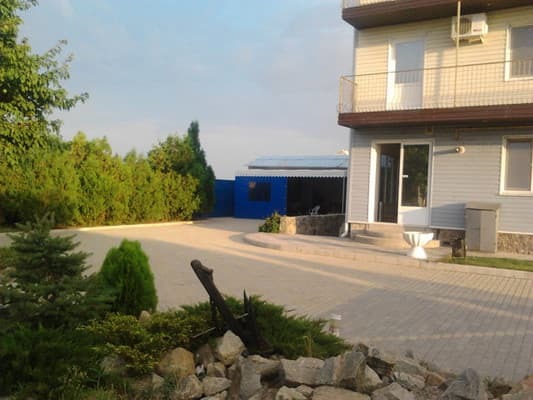 The distance to the grocery store is 200 m, to the lake - 100 m.
Description of the room: Separate bathroom (shower, toilet, washbasin), new furniture and plumbing, air conditioning, refrigerator, TV, hot and cold water constantly. Rooms are located on the fourth floor. 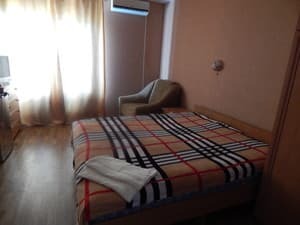 Description of the room: The rooms "Standard 2" - a separate bathroom (shower, toilet, washbasin), new furniture and plumbing, air conditioning, refrigerator, TV, hot and cold water all the time. Rooms are located on the third floor. 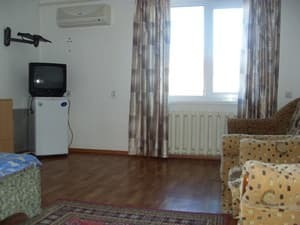 Description of the room: In the rooms "Standard 1"- air conditioning, refrigerator, TV, double bed, sofa. Rooms located on the second floor. A bathroom and a shared shower on the floor. Children under 6 years are accommodated free of charge without providing extra space. Extra bed on request (chargeable service). You can order 3 meals a day for an extra charge or separately breakfast, lunch or dinner. 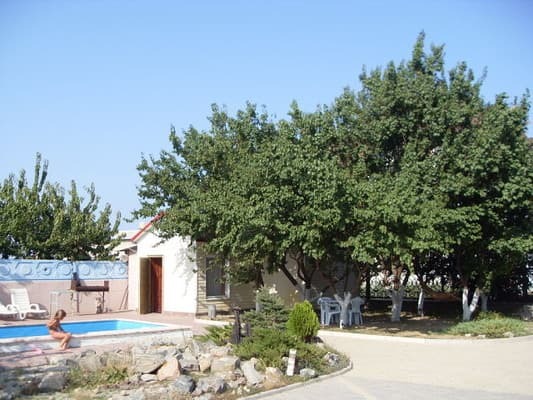 Hotel "Ankur" is located in the village. Genicheskaya Hill on the Arabatskaya arrow, 400 meters from the Sea of ​​Azov. Any fixed-route taxi, plying through the Arabatskaya arrow (village Genicheskaya Gorka).